Precision Signs is an industry leader in the upper Midwest, providing excellence in sales and service for all your sign needs. 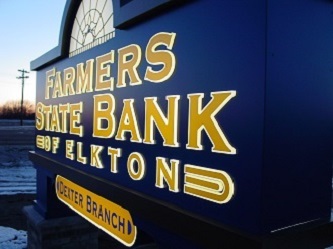 Utilizing professional custom design and cutting edge technology, Precision Signs will create a powerful first impression for your business. We focus on giving you the best combination of high quality and cost effectiveness in design, fabrication and installation. Our team of resourceful problem solvers know that there's no such thing as the impossible. 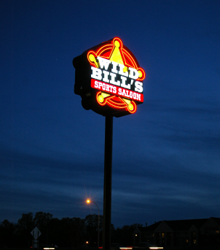 From replicating a 1929 theater marquee based on black and white photos, to designing and building a unique sports pub and grill sign that implements the latest advancements in the industry, Precision Signs can make your dream a reality. We were also featured on the cover of Sign Business Magazine! 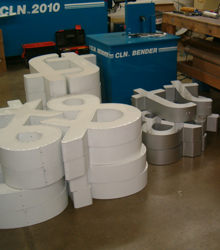 Illuminate your brand and location, day and night, using lighted cabinet signs. Also commonly called “wall” or “box” signs, cabinet signs are a traditional form of illuminated signage. 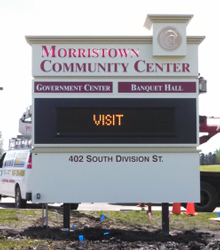 Add some dimension to your signage, literally! 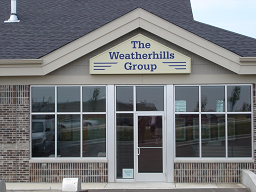 Channel lettering is an effective way to grab attention and guide customers to your place of business. A truly eye-catching visual, electronic message centers often display the current time and temperature as well as utilize animation. Basically they are signs erected on a pole or pylon independent of any building or structure. Pylon signs offer excellent visibility from a distance.